Any thoughts that the local jazz scene is withering away can be cast aside for many reasons, not the least of which is the live jazz on tap this weekend. Not only can we boast of the best local music from all corners of the jazz galaxy, we can also look at the artists who keep coming back to favorite tour stops or to enjoy periodic homecomings. May 11. 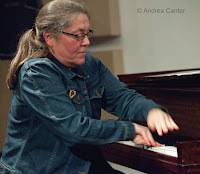 Usually the jazz nights at The Lexington are Thursday and Saturday, but tonight songbird Maud Hixson makes it a special Friday night in the company of guitarist Reynold Philipsek and bassist Steve Pikal. It’s also a bit cozier than usual, in the main dining hall rather than the Williamsburg Room. But then, Maud is the perfect accompaniment to a cozy dinner out. Call quick to see if you can still make a reservation. May 11-12. 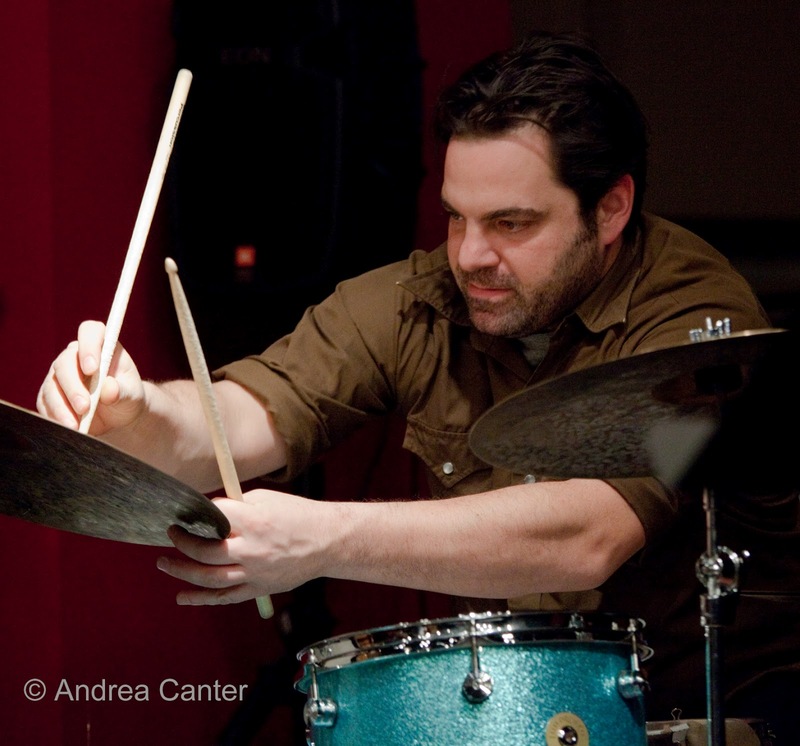 To call Zacc Harris one of the busiest local musicians is an understatement, given his involvement in such exciting projects as the Atlantis Quartet, Monk in Motian, Vital Organ, and his own Trio, along with curating the savvy Jazz at Studio Z series. 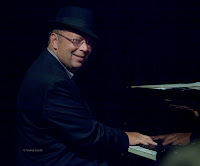 But this weekend, he is celebrating the debut recording of his Zacc Harris Group with two nights at the Artists Quarter. The Garden is out on the label Shifting Paradigm, and that’s a good description of the music, mostly originals from Zacc. His bandmates similarly reflect the best of their generation and easily on par with any ensemble in the region or beyond—Brandon Wozniak, Bryan Nichols, Chris Bates, JT Bates, and of course Zacc. May 12. 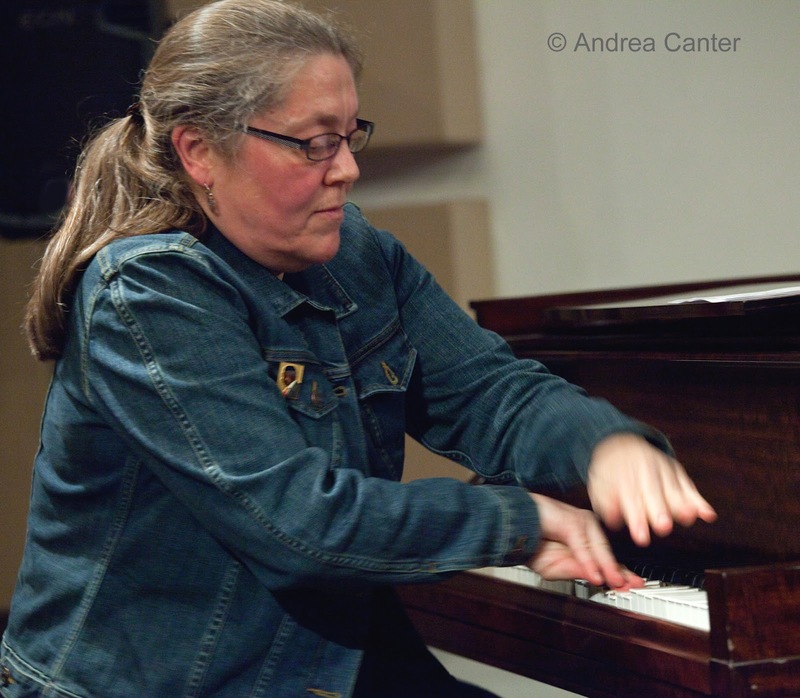 Among the purveyors of free improvisation and experimental jazz, the Ellen Lease/Pat Moriarty Quintet has long been an audience favorite, usually performing in the intimate space of our own “jazz gallery,” Studio Z. 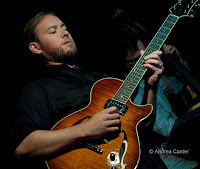 When Kelly Rossum moved east, the Quintet went on hiatus, with Lease and Moriarty experimenting with various configurations of trio and quartet. Now they will revive the Quintet, having found young Noah Ophoven-Baldwin to take the trumpet chair. And Pat did not have to look to hard – Noah was one of his students a few years ago at Roseville Area High School, and now finishing a degree at the U of M. The rest of the band has enjoyed a long-standing collaboration---bassist Chris Bates and drummer Dave Stanoch. (And you are guaranteed time to go from Studio Z to the AQ if that appeals, since Bates has to cover both gigs. May 13. It’s Mother’s Day and you can find just about anything to please Mom regardless of her preferences. Start with brunch at the Dakota and the jazziest mom/daughter team around---Jeanne Arland and Patty Peterson. Later in the afternoon, add some more blues and patter to a really swinging band at Landmark Center and PipJazz Sundays, with host singer Pippi Ardennia welcoming the always-entertaining Debbie Duncan and student saxophonist Jack Breen. 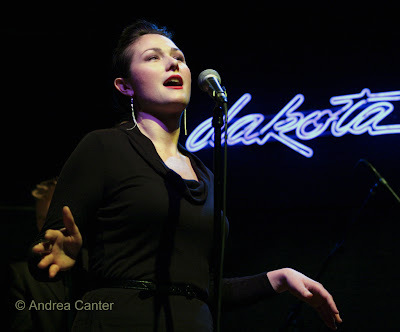 If mom (or you) are more adventurous, come to a homecoming with vocalist Nancy Harms, back in Minnesota at the Dakota for a break from her increasingly busy life in Manhattan, but bringing some of New York with her in the form of Double Voice-Double Bass. This trio, with fellow NY vocalist Emily Braden and sublime bassist Steve Whipple, accentuates both the voice and the versatility of the upright bass, resulting in some stunning harmonies. It’s a great way to catch up with Nancy’s evolving repertoire, which takes off in yet another direction this week with the release of the Jeremy Sisskind Trio’s Finger Songwriter—original works for piano, sax and voice. May 14. In spring 2011, the Dakota hosted a “retirement party” for Irv Williams, who was at the time celebrating a CD release at age 91. Maybe it’s a marketing ploy, maybe it’s the real deal this time, but the Dakota is hosting yet another “retirement party” in Irv’s honor, with frequent cohort Peter Schimke and other “friends.” If it takes retirement parties to show off Irv’s ageless saxophone, bring it on. May 15. When was the last time you heard Rick Carlson do a solo piano gig? Another opportunity is coming tonight, in the intimate space of The Nicollet. Come early and try one of those great pizzas. The sound system will surprise you and Rick is a huge talent who will be hitting all 88 keys without restraint. Meanwhile, a couple hours later, the Artists Quarter seems to be scheduling more vocal jazz this month, something many have been hoping to hear, so let’s be sure to support the effort! Tonight the AQ hosts perennial favorite, Lucia Newell, and we can count on some Brazilian bilingual tunes as well as some standards and original works. May 16. Aren’t we glad Café Maude restored its jazz programming? 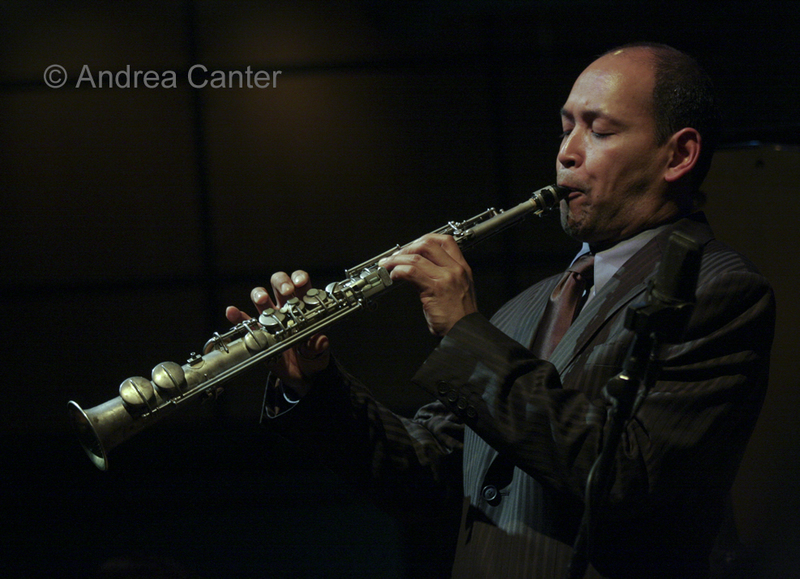 Often on Wednesdays, you can hear some of the most creative musicians interacting in new combinations. Tonight, Bay Area transplant and legendary percussionist Bababtunde Lea joins new partners Zacc Harris and Chris Bates, adventurous sounds paired with some adventurous kitchen creations. Start early in southwest Minneapolis, then come over to finish off the night at the Artists Quarter with the Graydon Peterson Quartet, featuring guitarist Vinnie Rose, trumpeter Adam Meckler, and drummer Adrian Suarez. May 17. It’s ultra cool when the community honors someone for building the jazz audience. Tonight, St. Thomas University’s Selim Center for Learning in Later Years celebrates its Distinguished Educator, guitarist/bassist/mandolinist Joan Griffith. Joan will give everyone a taste of her Conversations in Jazz program with a live interview and musical pairing with Connie Evingson, followed by a dessert reception. You can get a ticket at the door ( O’Shaughnessy Education Center Auditorium on the St Paul campus) and you do not need an AARP card to attend! Festivities will end in time to head down to the Artists Quarter for some shiny brass from Snowblind.